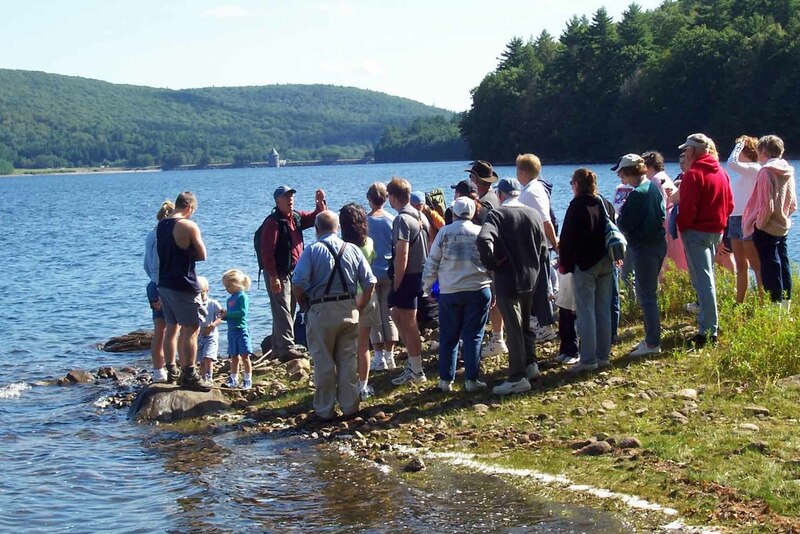 The weather was decent for our bus tour of Barkhamsted Hollow and the Saville Dam on September 24, 2006. There were just a few sprinkles here and there. The tour covered historical sites in the Hollow- sites of former cemeteries, tavern, churches, school and farms. Also included was a walk through the lower gate house of the Saville Dam. 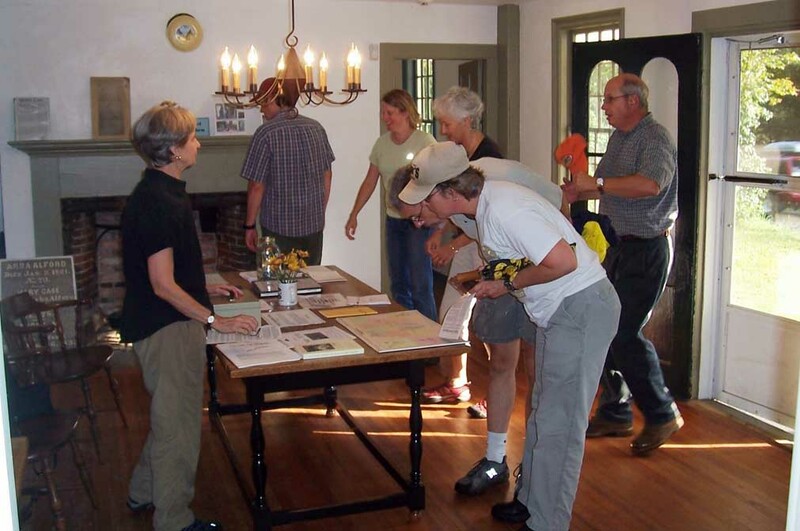 After the tour, many took advantage of the open house at the Squire's Tavern to see the progress being made on the restoration of the building as well as the Farmington River Coordinating Committee's display of photos and artwork relating to the Farmington River. Photos above- Visitors at the Squire's Tavern Open House held on September 24, 2006. Old Home Day and Annual Meeting- Sunday, September 10, 2006. 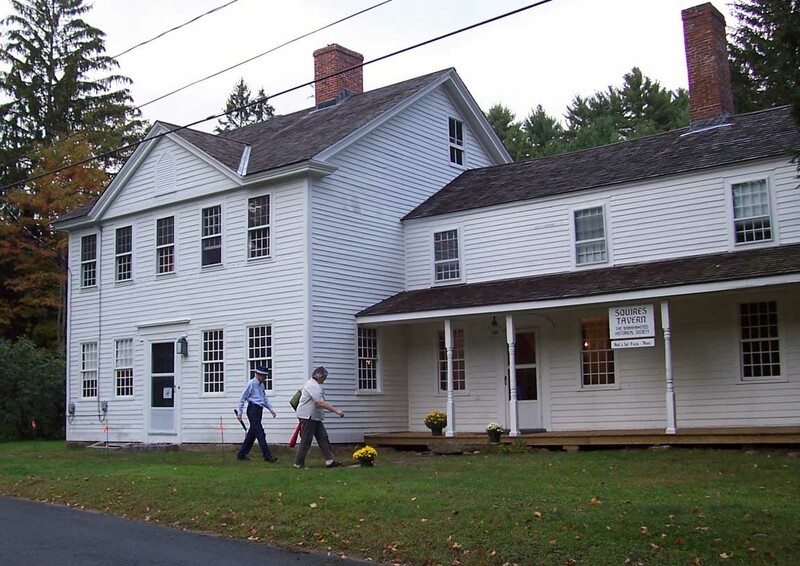 The Historical Society celebrated the 227th anniversary of the town of Barkhamsted on Sunday, September 10, 2006. 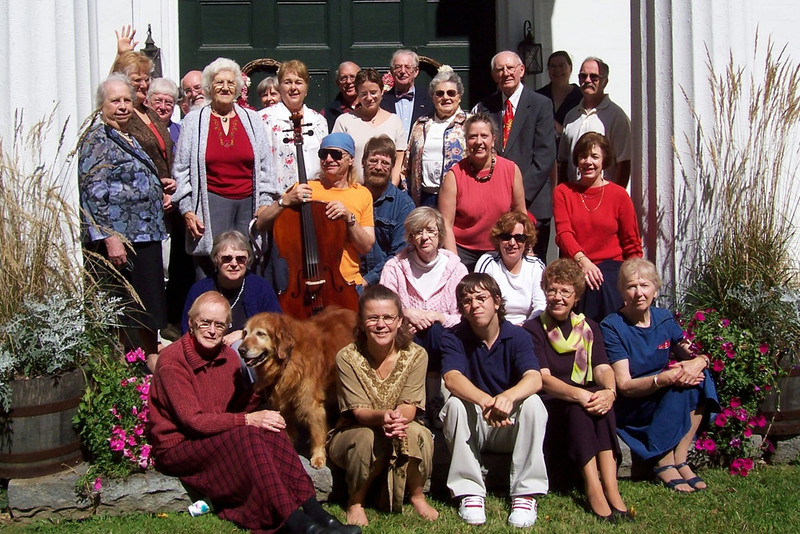 Old Home day is the traditional gathering of residents and former residents to celebrate Barkhamsted's birthday, a tradition that has been carried on since the 100th anniversary held in 1879. We continued this time-honored celebration with a pot luck lunch on the grounds of the Center Congregational Church on Old Town Hall Road. 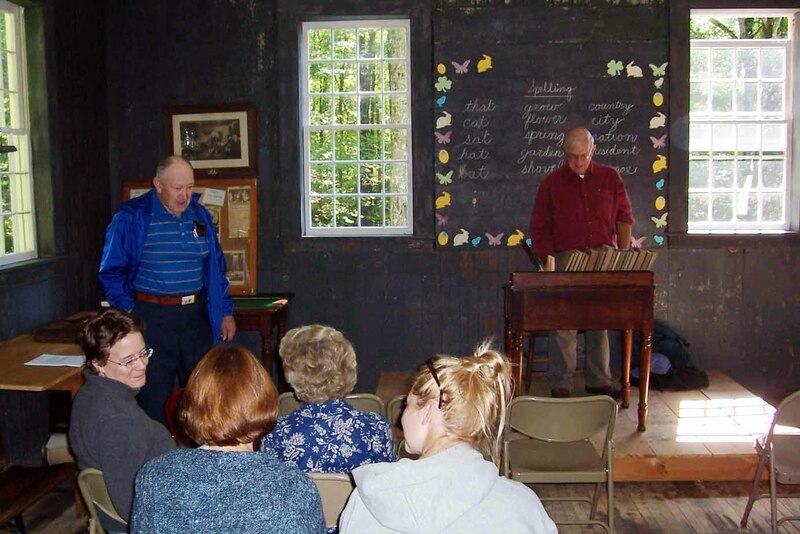 After lunch, we walked to the nearby Center Schoolhouse and held the Historical Society's annual meeting. After the meeting, Walt Landgraf led a walking tour of historic sites down to the west side of the Barkhamsted Reservoir to visit a number of significant locations including the original sites of the Center School, the Merrill Tavern, the Center Cemetery and militia parade grounds and a view across the reservoir where Barkhamsted Hollow farmhouses and other buildings once stood. Photo above- the traditional Old Home Day group photo on the steps of the Center Church. Photo above- Annual meeting of the Historical Society at the Center Schoolhouse. Walt Landgraf (standing in front of blackboard), president of the Barkhamsted Historical Society, starts the meeting as Town Historian Doug Roberts (in blue shirt) speaks. Photo above- Walt Landgraf talks about historic sites at Barkhamsted Hollow on the west shore of the Barkhamsted Reservoir.